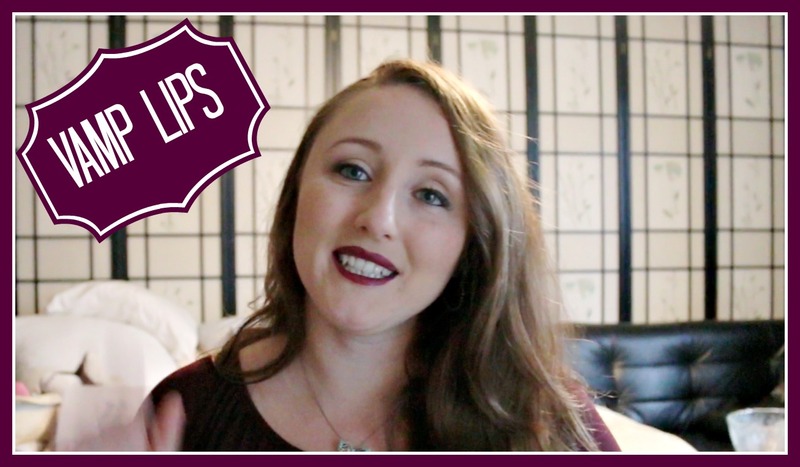 In my last makeup tutorial, I did a full face of makeup with vamp lips, unfortunately my makeup tutorial became 18 minutes long and some of you requested a vamp lip tutorial without any other makeup, so here it is. NYX HD Concealer in what ever color matches your skin tone. First line your lips with the LipLiner, if you have thin lips you can line just outside your natural lip line and it will give the illusion of having larger lips. Then using that same lipliner completely fill in your lips, this will help keep the dark lipstick on all day, I also primed my lips using concealer and powder, but that is an optional step. Then add the Soft Matte Lip Cream over the top of the lipliner, the more you go over the lips the darker your color will get, if you would like an even darker color try NYX Transylvania. Allow the lip cream to set for 1-2 minutes, then place your thumb in your mouth like a baby would and pull your thumb out with your lips wrapped around, this will remove any lipstick that can get onto your teeth throughout the day. The final step is using an angled brush lightly dip your brush into your concealer and then drag very cleanly along the outside of your lips, this will keep the lip color from “bleeding” onto the skin. And now your ready to show off those gorgeous lips, tag me in your photos on Instagram and Twitter so I can see your amazing work.